There's no doubt that melting sea ice in Hudson Bay is threatening endangered polar bears, but it might also be harmful to beluga whales, seals, narwhals and other marine mammals, scientists are warning. Melting ice caused by climate change is carving huge swaths of open water for longer periods of time, providing Atlantic killer whales more access to the bay and its rich stocks of prey. "There has been an increase in the duration of open water by about 35 percent in the last 10 to 15 years and killer whales can now come into the bay with little to hamper them as they move around," said David Barber, the Canada research chair in Arctic system science at the University of Manitoba. The open-water period in Hudson Bay used to last about two months each year, Barber said, but that has been extended to three months today "and we're on our way to four, five, and six months—and it will keep increasing as climate change starts to have more and more impact in the arctic." Barber spoke by phone from Winnipeg, where he is attending ArcticNet 2016, a weeklong conference of some 800 Canadian scientists studying physical and biological systems in the Arctic, largely driven by changes in the ice cover. Killer whales have historically avoided areas with ice because their large dorsal fins get caught underneath before their blowholes can breathe through fractures, Barber said. But ice-adapted whales, such a belugas and narwhals, have much smaller dorsal fins and can breathe though little cracks in the ice. Longer periods of ice coverage have always afforded protection for those animals, until weather patterns started shifting. "If ice is in the area for long periods of time, it limits how far the killer whales can come in and how long they stay there," Barber said. In addition to climate change, freshwater entering the bay from two hydroelectric dams that generate power in the winter may be contributing to ice loss, he said. Each summer, thousands of belugas migrate from the Hudson Strait on the eastern side of the bay to shallow estuaries on the western shore to feed and mate. The status of the western bay population, estimated at about 57,000 or 35 percent of the world's total, was upgraded to "Special Concern" in 2004 by the Committee on the Status of Endangered Wildlife in Canada, because of potential threats from shipping and hydroelectric development. Reported sightings of killer whales, especially in the western part of the bay, have skyrocketed in recent decades, although there are no precise figures on how many more orcas are now entering the huge waterway each season. Kristin Westdal, a marine biologist for the Pew Charitable Trusts' Oceans North Canada, along with two colleagues, began interviewing hundreds of Inuit elders and hunters in 2006 about the historical presence of killer whales in the bay. "They are a relatively new predator," Westdal said. "Reports of sightings started in the 1950s or '60s, and there's not much history prior to that." The frequency of sightings has also increased. "Historically it was every few years and now it's every year, fairly consistently," Westdal said, adding that some of the increase in sightings might be owing to faster and larger boats that can transverse extensive stretches of the bay. Reports of killer whales preying on belugas are also coming in. Westdal said a large number of belugas that had been tagged at Seal River were subsequently attacked by a killer whale pod. "The belugas were in a tight cluster at the river's mouth, and after the event they spread out along the coastline quite a ways north and then came back to their original habitat," Westdal said. "So they're using quite a bit more of their range than we might have thought, which is important when looking at marine conservation in the region," she said. "Their core habitat is not necessarily enough to protect that species [as] this points to potential changes in distribution should killer whale attacks continue to increase." How much of a threat do the roving orcas pose to belugas? "It's a difficult question to answer because the population is so large," Westdal said. "If there's any effect, it's going to be something we see in the long run. Still, a pod of 10 to 12 killer whales can do a lot of damage; they can certainly take down quite a few belugas. Over time, I think we're going see some kind of changes in population and distribution." Westdal said there should be a similar impact on seals and narwhals. Melting sea ice in the bay may be a boon to orcas, but it can also be hazardous. In 2013, a killer whale pod was trapped when a sudden freeze turned the open water into ice. "Orcas are brilliant, but they don't carry calendars," said Shari Tarantino, president of the Seattle-based Orca Conservancy. "As long as there is no ice building up and food to eat, they will stay in the bay longer than they should." People don't usually think about the destruction of rainforests while washing their hands, applying lipstick or doing laundry. But thanks to high demand for products containing palm oil, which is derived from the fruit of the oil palm tree, consumers are inadvertently contributing to deforestation. It's hardly an exaggeration to say that over the past two decades, the agriculture industry in the U.S. has wholeheartedly embraced GMO crops with gusto. Almost all of the soy and corn grown in the U.S.—upwards of 90 percent for both crops—is genetically modified. Same goes for canola. More than half of sugar beets are also grown from GMO seeds. The same cannot be said for potatoes. Indeed, field tests of an early GMO potato variety sparked one of the first protests against the technology back in the late 1980s and the industry remained largely GMO-free. It was just last year that the potato industry began planting a GMO variety on a commercial scale, a cultivar also developed by Simplot and named White Russet. The three new varieties—Ranger Russet, Atlantic and Russet Burbank—all follow that first generation in that they are designed to minimize bruising and black spots, as well as reduce the amount of a chemical that is potentially carcinogenic that develops when potatoes are cooked at high temperatures. The trio of 2.0 cultivars have also been engineered to resist the pathogen that causes late blight, the disease that led to the great Irish potato famine in the mid-19th century and for "enhanced cold storage," a trait that may be of particular interest to potato chip makers, according to The Associated Press. "We obviously are very proud of these," a Simplot spokesperson told the AP. The company says it only used genes from other potatoes to create its GMO varieties, such as a gene from an Argentine potato that yields a natural defense to blight. As agro-tech companies have done since the dawn of the GMO revolution, Simplot is touting a promise that its GMO spuds will allow farmers to dramatically reduce the amount of chemical pesticides they're forced to spray—in this case, by up to 45 percent. Maybe so. But there are signs that public skepticism against such claims is growing ever more widespread, like the fact that the damning results of a New York Times investigation published last weekend under the not-so-subtle headline Doubts About the Promised Bounty of Genetically Modified Crops shot to the top of the newspaper's list of most-emailed articles. The Times takes to task two of the biotech industry's dominant claims about the need for GMO crops: First, that genetic modification is essential if we're going to grow enough food to feed the planet's burgeoning population, and second, that by engineering crops to resist common pests while withstanding application of herbicides, those crops would in turn require fewer dangerous chemical inputs. Well, it's been 20 years since Monsanto and other companies rolled out their first GMO crops on a wide scale. So how has it all worked out? The Times compared crop yields and agrochemical use in Canada and the U.S.—where, as mentioned, GMO crops are widely grown—with those in Western Europe, where greater public hostility toward the technology led to many GMO crops being banned. The investigation found farmers in North America seem to have "gained no discernible advantage in yields" through their adoption of genetically engineered crops. Yet herbicide use among U.S. farmers has risen by 21 percent; in France it has fallen by 36 percent. Although use of insecticides and fungicides has indeed dropped by a third in the U.S., it has fallen by more than double that rate in France. As you might expect, the biotech industry strongly disputes the Times analysis, saying it relies on "cherry-picked data." Yet even Matin Qaim—an independent academic at the University of Göttingen in Germany whose work Monsanto and other companies often cite to buttress their claims—offered an assessment that wasn't exactly aligned with the industry's PR spin: "I don't consider this to be the miracle type of technology that we couldn't live without," he told the Times. Much has been written about the JetBlue business class menu designed by Brad Farmerie, the executive chef of New York's Saxon + Parole. "I'm in love!" one blogger gushed over the in-flight meals, which are a departure from the usual airline fare: a deviled egg with house-made sambal, bison meatloaf with blueberry quinoa or grilled avocado salad with salsa verde. Myth, tradition, inspiration, culture, religion and many other aspects of human life are written into the rings of history within a tree's trunk. Trees would do just fine if humans ceased to exist—but humans would most definitely not survive without trees. They reduce carbon dioxide while producing oxygen, moderate ecosystems, prevent erosion, and provide shelter, building materials, energy and even nutrition. They are simply amazing. In partnership with NBCUniversal's Green is Universal program and the Arbor Day Foundation, we bring you a breathtaking (or rather, breath-giving) tree gallery. When you share this gallery and use #ShareATree, you're helping the Arbor Day Foundation plant real trees. For every 25,000 shares, NBCUniversal will donate $5,000 to the Arbor Day Foundation, up to $25,000. Share this awesome gallery and make our planet a little greener. This showstopping tree looks like it was painted by a graffiti artist, but its bold colors are derived from the natural shedding of bark. Layers of bark peel away at different times of the year, revealing undertones ranging from bright green to orange. 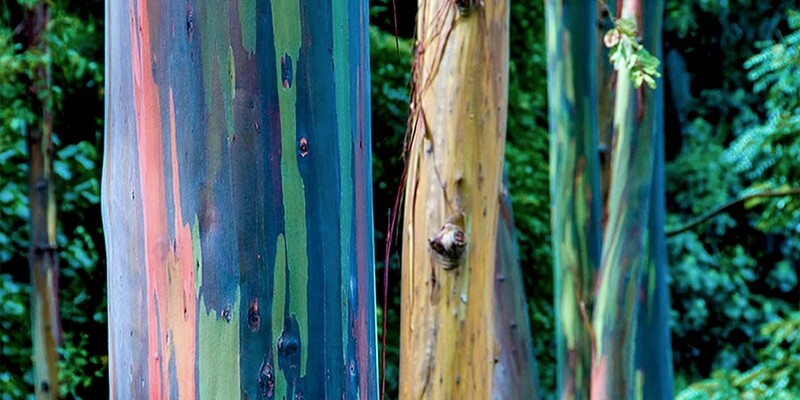 These beauties can be found all over the world but mainly in the South Pacific in tree plantations, where the eucalyptus' pulpwood is used to make paper. 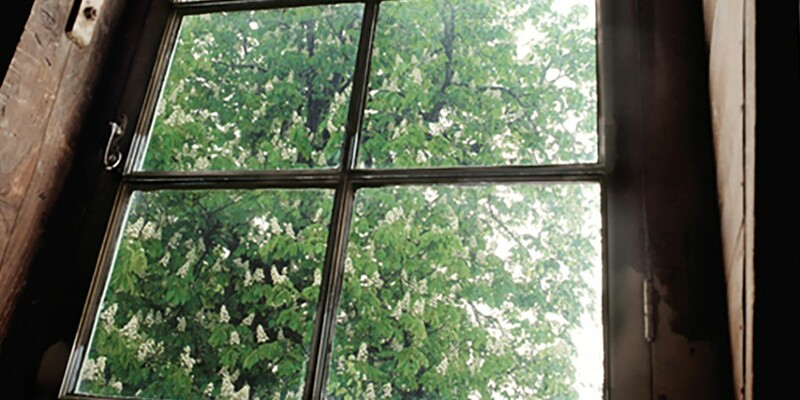 The tree grows six feet wide and more than a hundred feet tall and it's photogenic, to boot. Because of trees' nearly innumerable benefits, people throughout time have attributed greater meaning to them. A common motif in various cultures and religions is that of the Tree of Life. Depending on where you look, the Tree of Life offers the threshold between life and death (Egypt), grants immortality once every 3,000 years (China) or supports and connects the underworld, the earth and the stars (Mesoamerica). 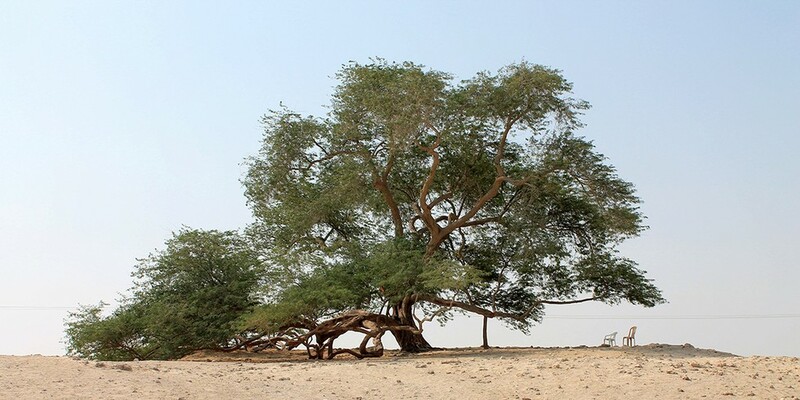 The Tree of Life pictured here is found in the middle of a desert in Bahrain, miles from any other living organism or source of water. It is a 400-year-old mesquite, whose roots can grow to more than 160 feet, making it resilient in arid climates. While some like to think it is the tree of good and evil mentioned in the Bible, locals attribute other spiritual powers to it and have their own occult practices surrounding it. Whatever the case may be, astounding trees like this cause legends to flourish and attract visitors from around the world to catch a glimpse of their leafy awesomeness. Ever heard of the Buddha? Yeah, well, this fig tree in Bodh Gaya, India, is believed to be the tree under which Siddhartha Gautama achieved enlightenment approximately 2,500 years ago. According to Buddhist texts, right after the Buddha achieved enlightenment, he gazed up at the tree in gratitude with unblinking eyes for an entire week. Talk about a staring contest. Even during the lifetime of the Buddha the Bodhi Tree was seen as a sacred shrine by King Asoka, who held a festival every year in its honor. However, his queen was what some would call "the jealous type" and had it killed by Mandu thorns. 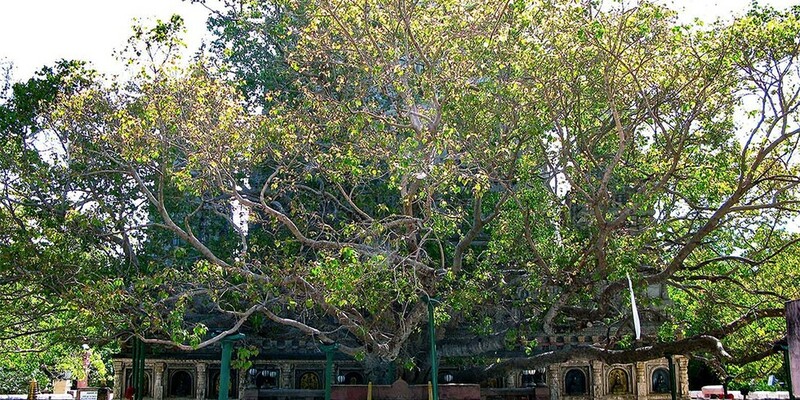 But the Bodhi Tree had the last laugh when it regrew in the same spot and had a magnificent temple built next to it. Even today, the tree is the most important of four Buddhist pilgrimage sites. Depending on your age, you may think of Robin Hood as a dastardly fox, a witty Cary Elwes or a pouty Russell Crowe. But the locals of Edwinstone, in the heart of the Sherwood Forest in Nottinghamshire, England, don't really care what your image of him is. Robin Hood has been an important folk figure to them since the medieval period, long before movies were invented. Some records portray him as a farmer, while others identify him as a wealthy man whose lands were wrongfully taken from him, forcing him to become an outlaw. 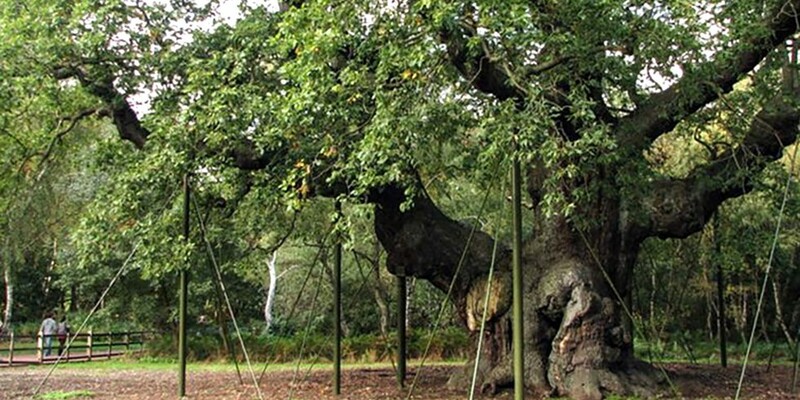 Whatever Robin Hood's origins, the Major Oak tree is fabled to be the shelter in which he and his Merry Men slept after a long day's work of "stealing from the rich and giving to the poor." 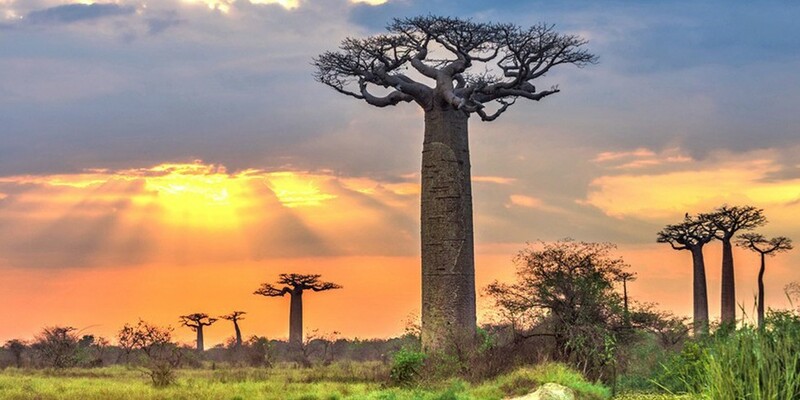 While it may look like Baobab trees are shaped into their odd forms by imaginative horticulturists, the only hand of manipulation here is evolution. These large trees can grow up to 50 feet tall and are the natural equivalent of water towers. The trees are native to arid regions such as mainland Africa, the Arabian Peninsula, Madagascar and Australia and have been used in dry seasons for the water supplies stored in hollows in the trees. The white powder in their seed pods can be used as food and their leaves have medicinal purposes. What possible connection could a tree in the capital city of Sierra Leone have to the American Revolutionary War? Well, just as the Americans won independence from Great Britain, a group of African American slaves won their freedom by fighting for the British during the war. Legend has it that the newly freed slaves landed on the shore, walked up to the giant tree and circled around it, giving thanks for their deliverance to a free land. On March 11, 1792, they founded Freetown and today it is the capital city of Sierra Leone. 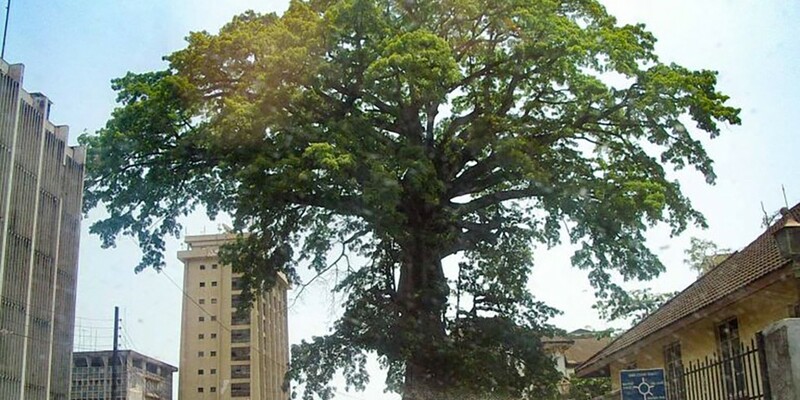 The Cotton Tree stands directly in front of Freetown's Supreme Court building. "Nearly every morning I go to the attic to blow the stuffy air out of my lungs. From my favorite spot on the floor I look up at the blue sky and the bare chestnut tree, on whose branches little raindrops shine, appearing like silver, and at the seagulls and other birds as they glide on the wind. As long as this exists, I thought, and I may live to see it, this sunshine, the cloudless skies, while this lasts I cannot be unhappy." The iconic tree was blown down by high winds during a storm on Aug. 23, 2010, but it missed the historic annex in which Frank and her family stayed. Methuselah is like the estranged grandfather that no one in your family talks about. 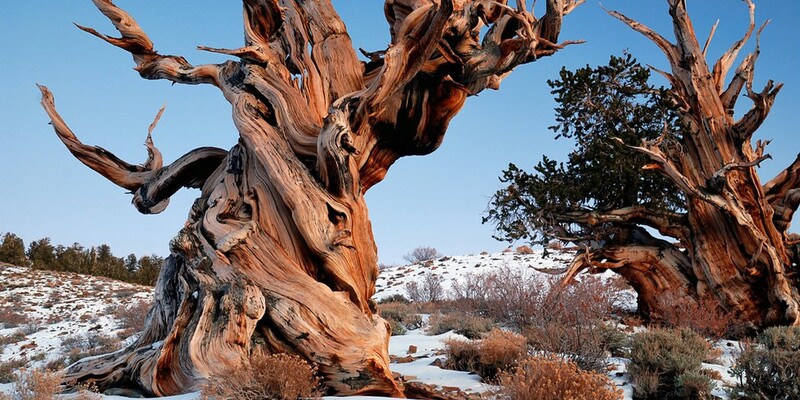 It is the oldest known living tree on the planet, but its location will not be revealed. This is because an older tree, nicknamed Prometheus, was accidentally cut down in 1964. At 4,843 years old, the bristlecone pine is worth protecting, even if it means anonymity. With a bit of imagination, animals, goblins and monsters can be seen trapped in this tree's gnarly trunk, and although the trunk has the look of multiple trees fused together, it is just one amazing tree. El Árbol del Tule or the Tree of Tule, towers over Santa María del Tule, a small church in Oaxaca, Mexico. The massive Montezuma cypress may be the biggest—as in widest—tree on the planet. The circumference of the trunk spans 170 feet and the tree weighs more than 500 tons. 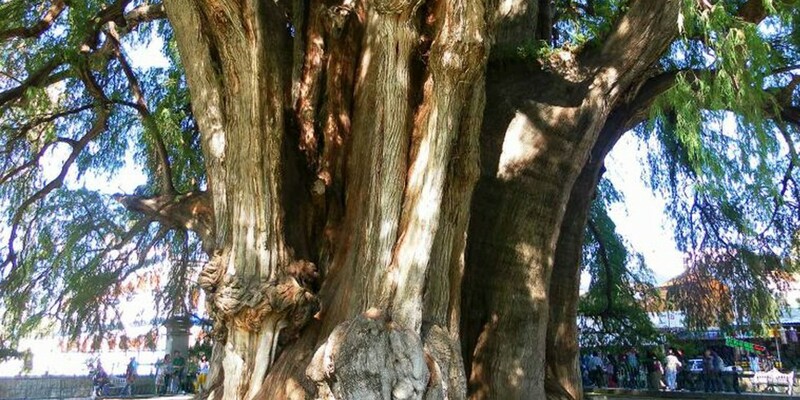 At approximately 2,000 years old (legend has it that it was planted by an Aztec storm god), this massive tree is among the eldest in the world. What's served up in college cafeterias became a hot topic this summer thanks to an episode of writer Malcolm Gladwell's podcast Revisionist History. In July, Gladwell argued that some schools are spending big bucks putting fancy food on the menu—think lobster bakes and venison—instead of offering financial aid to low-income students. But another trend in campus dining halls that Gladwell might want to take a look at in a future episode is one that could hold down college food costs: vegan meal options. According to a survey released Tuesday by peta2, the youth division of People for the Ethical Treatment of Animals (PETA), meat- and dairy-free menu items have become one of the hottest things on college cafeteria menus. The organization surveyed nearly 1,500 four-year colleges and universities in the U.S. and found that 62 percent of schools serve vegan menu items on a daily basis, up from 28 percent in 2014. The survey also found that about 9 percent of schools—private institutions like American University in Washington, DC and public state schools like the University of California, San Diego—have entirely vegan dining stations. The vegan revolution isn't just happening on the coasts. The 36,000-student University of North Texas has had a 300-seat all-vegan dining facility since 2011. After the school installed the vegan dining hall, "meal-plan sales rose by 20 percent while operating costs remained comparable," according to peta2. Animal products "are among the most expensive items when it comes to wholesale food costs because of the massive amount of water and grains required in order to produce them," Ben Williamson, senior international media director for PETA, wrote in an email to TakePart. A study published in the September 2015 edition of the Journal of Hunger & Environmental Nutrition found that people who go vegetarian spend an average of $750 less on groceries than folks who follow federal dietary recommendations. Colleges that replace meat and dairy menu items with plant-based offerings are likely seeing similar per-student savings. A desire to save money isn't the only reason schools are moving to meat-free meals. "Research shows that millennials are three times more likely to be vegetarian than Gen Xers and 12 times more likely than baby boomers, because eating vegan food is directly tied to helping combat world hunger, cruelty to animals, environmental degradation and other issues that millennials consider to be crucial," Williamson wrote. Many "students have made it clear they understand the health benefits of vegan food, along with its lower impact on the environment," Brian McCarthy, a chef at the Massachusetts Institute of Technology, said. The environmental implications of these students ditching meat are significant: A 2014 Oxford University study found that the average meat eater has an environmental footprint of 15.82 pounds of CO2 per day, whereas a vegan has a footprint of 6.4 pounds of CO2. "Vegan food has now reached the mainstream in even the most rural parts of the country, which is a testament to the rapid decline of the meat, dairy and egg industries," Williamson wrote. "Students at the University of Montana, for example, can always get a hearty meal at the vegan dining station on campus, and Oklahoma City University offers a dining station that's both vegan and raw, despite being in the heart of the 'beef belt.' "
Per-capita meat consumption in the U.S. jumped 5 percent in 2015, the biggest increase since the 1970s, but Williamson believes college students will stick with a vegan lifestyle after graduation—a shift made easier by food companies and restaurants. "While college campuses are often the incubators of emerging trends, the progress doesn't end there: After students graduate, they'll be entering a world where major brands such as Chipotle, Ben & Jerry's and even White Castle now advertise vegan options front and center," he wrote. As for those schools that still believe a vegan option is a sad-looking salad bar, peta2 has a "Veganize Your Dining Hall" campaign pack, which gives students resources for lobbying their schools to adopt more robust vegan-friendly menus. Mark Harris banks the Cessna 182 over the blue expanse of Humboldt Bay and flies toward the redwood-studded hills beyond, to the now-quiet battlefields of the California timber wars. It's a flashback moment. Twenty-one years ago, Harris, then a ponytailed young attorney, took me, then a long-haired young reporter, up in Thumper, as he affectionately calls the 59-year-old prop plane, for an aerial view of the civil war raging in Humboldt County.